This shop has been compensated by Collective Bias, Inc. and its advertiser. All opinions are mine alone. I am excited to be a part of this campaign and share how I stay fresh this summer #CollectiveBias. About a month ago I was watching the news and they were saying the past few years our summers have been extremely hot and dry, and they were predicting that this year it could be the same! Luckily we have had quite a bit of rain lately and the grass is nice and green! We have had quite a few days that have hit over 90 degree’s, and a few that have hit over 100. Last year we had tons of days that were like 115 degree’s, boy that was HOT! With the heat, I need a long-lasting deodorant, that will hold up. I am trying to use natural personal care products, and replace my old stuff with new! With it being pretty hot already and summer has just begun, I decided to go with Tom’s of Maine Naturally Dry this year! Tom’s of Maine does not have animal ingredients, artificial colors, flavors, fragrance, or preservatives. It is a naturally antiperspirant deodorant, that gives you 24 hour wetness protection! I sweat a lot, especially if I am out taking pictures and the sun is beating down on me! So having something that keeps my dry, is a huge plus. I hate getting hot and sweaty, then smelling the funk, knowing your deodorant didn’t hold up to the summer heat! 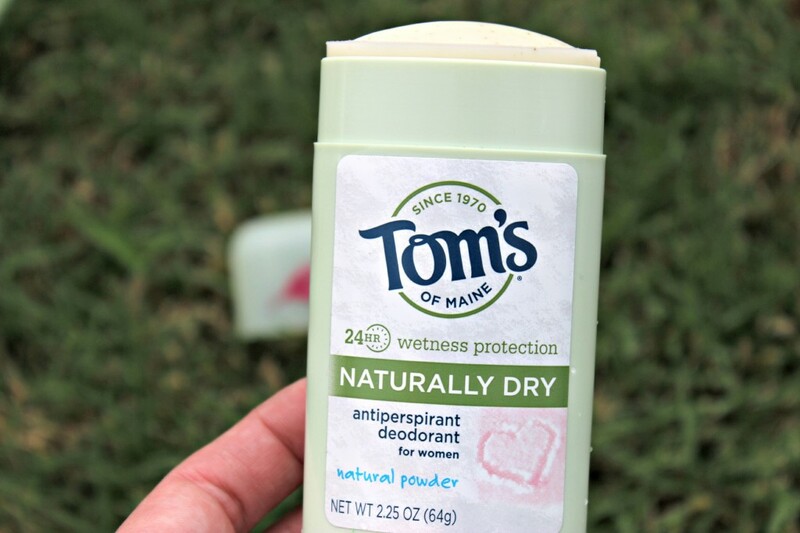 I ordered my Tom’s of Maine Naturally Dry Womens Antiperspirant Stick in the Natural Powder scent online at Amazon! I was really wanting to try it out, but didn’t want to drive to the next town over to see if they carried it, so I just ordered it online! I like not having to leave my home to buy stuff, and in a few days it will arrive at my doorstep! In the Spring and Summer I enjoy going out and taking pictures of nature. I take a lot of pictures of pretty flowers, cows, birds, squirrels or whatever I see. We have an area right out of our town that is a nice country road where you can park and walk around and just see all the pretty scenery around you! 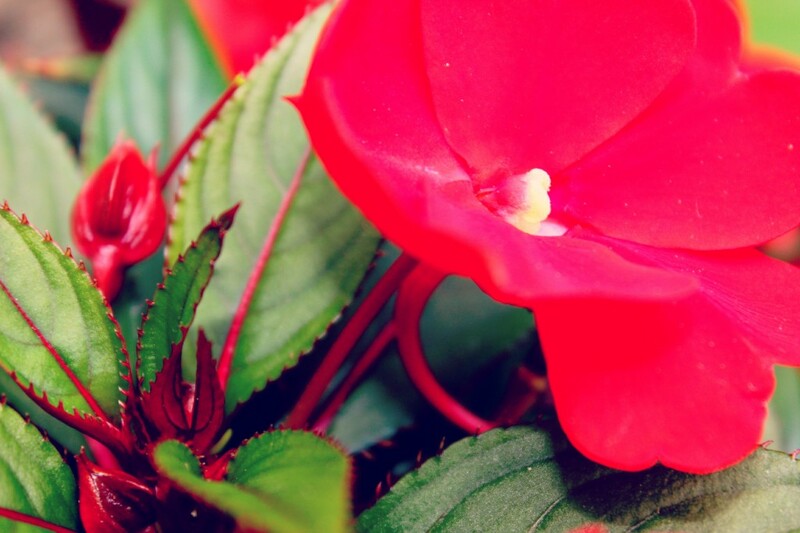 I snapped this picture of the red flower in my garden! I planted it this year, and I love the bold red detail on the leaves, it is absolutely stunning! There are so many pretty weeds and flowers out there. 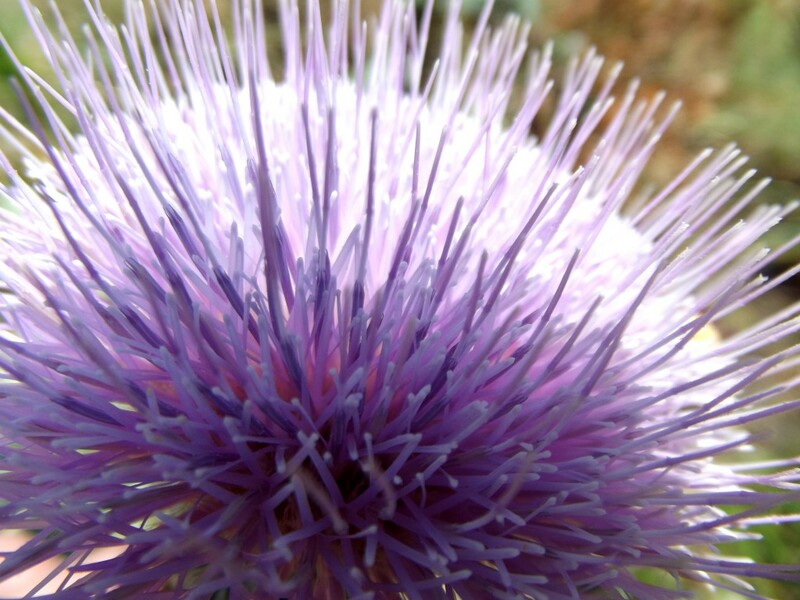 This is a thistle, it is more of a weed, and has some killer spikes on it, so you have to be careful not to prick yourself! I love all the pretty purples in this flower! It is one of my favorite pictures I have taken in awhile! 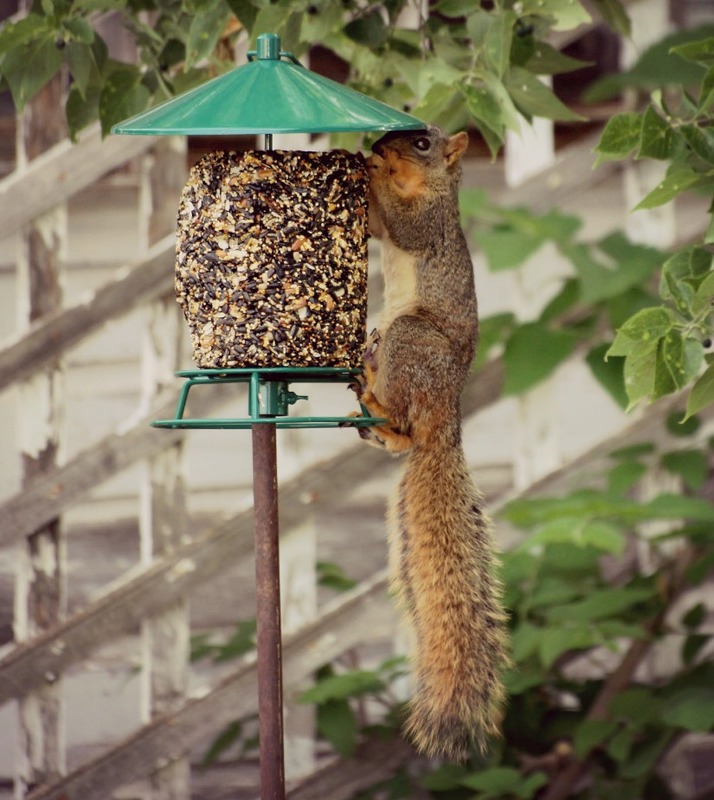 We recently got this neat little bird and squirrel feeder. We have put up and within a few days this little squirrel found it, and was enjoying munching on it. I don’t think he even cared I was taking pictures of him, because he just kept on eating and didn’t pay any attention to me! I absolutely love squirrels, they are just adorable! I love to sit on our back porch swing and watch the birds and squirrels, eat from the bird feeders we have, and bath in the bird bath! How do you spend your summer? 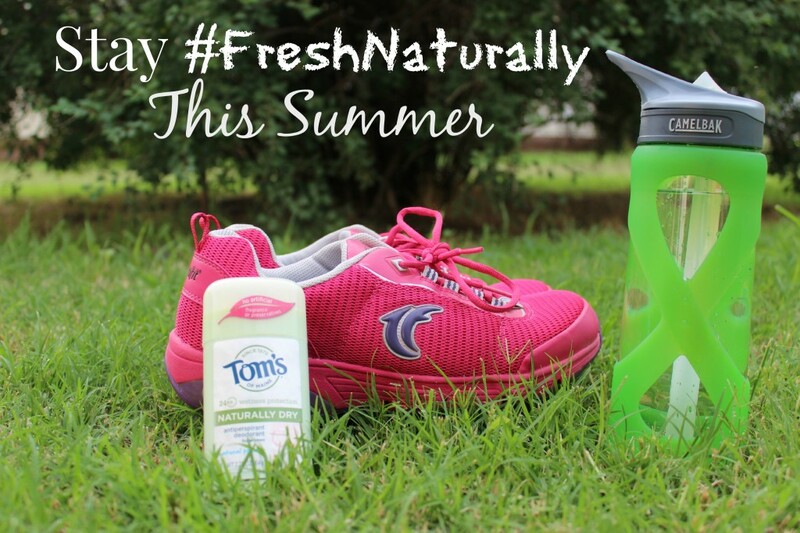 Do you Stay #FreshNaturally? Our summer has been pretty busy with Adam’s mud runs, playing with nieces and nephews, planting our garden and flower beds, and everything in between! Your pictures are amazing! I would love to try Toms I have used other products in the past, but I would love to try this natural product. I’ve heard great things about Tom’s deodorant maybe one day I will take the plunge. You really do take great outdoor photos! Toms do have a lot of great, natural products. 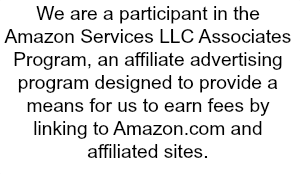 I haven’t look at their products in awhile and love that you can order them on Amazon. Summer is not stop busy outdoors and traveling. Thanks for sharing. Squirrels really make me love with their silliness. We don’t have many where I live. I guess it’s too coastal. I’d be willing to try Tom’s of Maine. I just wasn’t sure it was strong enough! I love Tom’s! And that squirrel is awesome! I have used Tom’s toothpaste but not deodorant ! I look forward to check this out! I use Tom’s of Maine toothpaste all the time, but had no clue they even made deodorant. I will have to check it out. Those are great pictures. The squirrel is so cute! I love Tom’s deodorant. It’s so great to see a product that does no testing on animals. I’ve never tried this brand. I wishI could say yes, but I use a different brand of deo. Maybe I’ll try this brand out. I’d much rather stay fresh naturally. Have a great summer. I love the squirrel picture! So cute! Love Tom’s of Maine, too! Excellent photos! I too, love wandering and taking photos of random discoveries outside. Nature is full of fun surprises if you just take the time to look. 🙂 Great post! We LOVE Tom’s of Maine Toothpaste and have been using it for months. I would love to transition all my hbc products. I keep all these good things about Tom’s deoderant (I love their toothpaste! )… next time I need some, I’m going to give it a try! I have heard a lot of great things about Tom’s deodorant. I need to try it out sometime! I love your nature photos! That looks like a great product too! Awesome brand, I buy it for my 9 year old son and will not allow him to use anything else. Beautiful pictures! Tom’s is a great brand. We really like it.